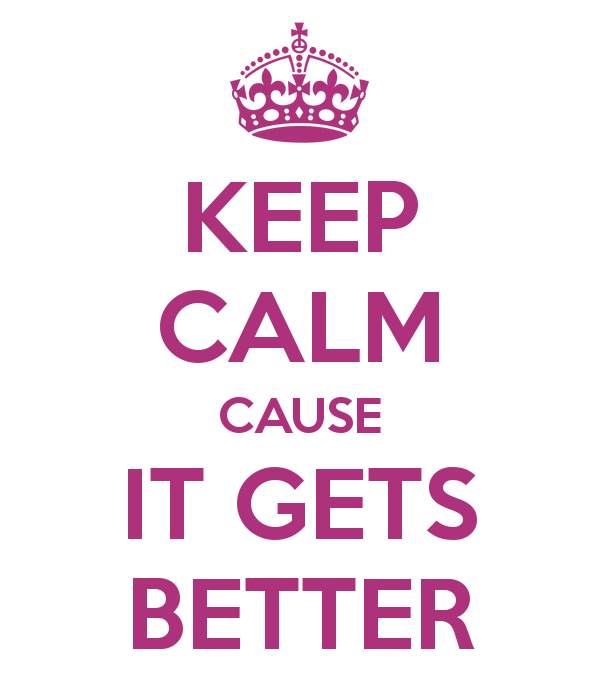 By now you’ve all heard of the “It Gets Better” campaign and seen their YouTube videos. If you haven’t, the premise of these videos is that people from all walks of life – pastors, military personnel, celebrities, bloggers, the President, moms, dads, young people and old alike – remind those who are feeling hopeless about their sexuality that it gets better. I even filmed one myself. I remember when they first began coming out, it felt so powerful, but I think many of us have become so used to them, they have lost a small amount of their power. It’s no longer shocking that people are telling us “it gets better.” While the normalness of seeing these videos has worn down the excitement, I can’t help but wonder what it would have been like for me if they had had YouTube videos when I was in the midst of my pain and hopelessness, telling me it would get better. Would I have believed them? Would it have helped me feel more courageous and hopeful, perhaps even experiencing years less of the torment that I endured? There’s no way to know what the impact would have been on me, but I do know I’m grateful they exist now. This morning, when reflecting on these short videos, I began to remember some of the most hopeless experiences I had with my sexuality. I remember one time I was at a local park. I went there to pray and read my Bible, and wanted to connect with something of God. I needed direction and comfort at that time. I had tried for years to make my attraction to other women to go away, but once again I was having feelings for someone I knew. I hated myself and couldn’t understand why God wasn’t helping me. I went to the park that day while fasting, determined to get answers and be set free. But here’s the thing – it really can get better. I promise, because I am living proof. Take a small moment to let your guard down, even if just for a second, to let those words come in. It’s okay to let them comfort you. It’s okay to let them give you hope where you have none. I know hope can be scary, but it’s deeply important to let yourself begin to have some. It does get better. It’s true. You might lose some relationships, even those closest to you. And that will be deeply painful. But you and I already know that you have already endured a great amount of torment. You already live in pain everyday, so why not risk it? Your parents might not understand and yes, it could take years for them to process this, but it’s time youbegan to choose yourself; they have had a lifetime to live out theirhappiness and now it’s your turn. They will make it through this and so will you; it will not destroy either of you. People you never expected to love and support you will and it will blow your mind and you will see and experience God show up for you in ways you never thought possible; it will be awesome. You will find new friends and your idea of family will broaden and become so much more full. Today, let yourself dream a little while. What’s the dream of your life? Is it that you find an inclusive church and end up getting to minister there as an openly gay person? Is it that you find and marry the love of your life and eventually have a family? Your dreams can come true. It will require great courage and work on your part, but it’s worth the fight.